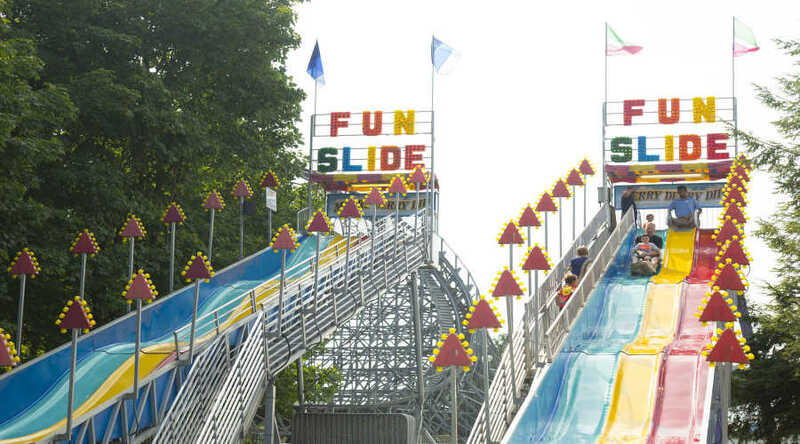 Race the whole family on the Merry Derry Dip® fun slides, located in Midway America℠ region of Hersheypark®! From Miniatures to Jolly Ranchers, all height categories are invited to this sweet race! Guests sit on a burlap sack and slide over camel back humps all the way to the bottom.